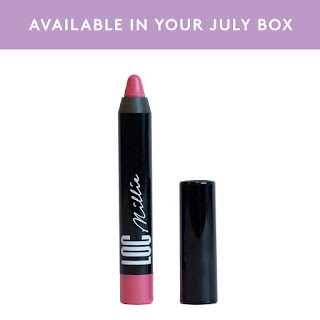 July (Summer) Favourites! Activities, Games, Beauty and Food! I love that Wimbledon falls just after exams and school or university has finished. It means that I can, if I want, watch all the matches taking place. Unfortunately, I can't quite manage that because I end up getting just a little bored but that doesn't stop me from trying. This year, like last year, I went to Wimbledon on the opening day and I loved every second of it! I had so much fun and even made a daily vlog of it! 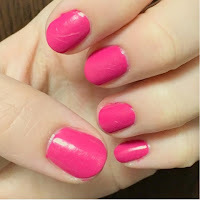 My OPI Nail Lacquer summer colours! 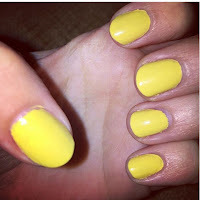 I treated myself to a bright yellow and for my birthday my sister got me a hot pink colour. Click here for a full birthday haul or here for the vlog. I've never worn a yellow before but it makes me feel really happy and summery so I love it; I have 'I Just Can't Cope-acabana'. The hot pink is really bright and poppy and I can't wait to wear it with a tan; I have 'Pink Flamenco'. 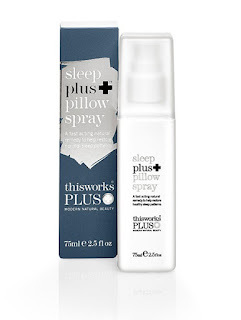 This 'This Works sleep plus pillow spray' is the best sleep spray and became a must during exam time. I usually hate the smell of lavender but somehow it was so relaxing and just helped me shut my brain off. Splitting my time between two locations has made it a little difficult to get used to my sleeping routine so for the first few days at the 'new' place, this has worked wonders. So calming. I bought mine with my Birchbox points but I think it's probably cheaper direct. Prawn pringles! It's so hard to find Prawn Cocktail Pringles anywhere nowadays, but especially in London, so it's become an expectation for my mum to have them in stock when I come home and I love it! Homemade ice cream is a must! Especially in hot and humid London days, I love making my homemade icecream in my nutribullet. I do it almost the same as my smoothies but with a little less milk and using frozen fruit which makes it much thicker. My favourite is banana and strawberry or banana and mango. So refreshing! Fit flops have been a favourite shoe of mine since I very first got them. Since then they have massively expanded and now do a wide range of different styles and products. I first had a pair of purple one, then black and now I have just rebought some new ones because mine were just looking a little worse for wear. They are some of the most comfortable flip flops I have ever worn and they last; I've worn them pretty much 4 summers in a row and they've lasted. The thick sole means that your supported without putting too much pressure on your ankle and it is also meant to tone your legs and bum...hence FIT flops! If you want to find out more about the technology read here. There are so many colours and designs but I just personally prefer the plainer ones because they go with everything. I recently even took them to my sisters, click here or here for the vlogs, and she quickly tried them on and fell in love! I used to play the Episode Game all the time but I then went off it. Since the end on June I have got back into it again and I am seriously loving it! Especially the Demi Lovato stories. My only annoyance is that you have to wait so long for the passes to recharge and you only get 3 at a time! :( Use the referral code 'GTQ5UC3TVU' for free passes. My other favourite is 'Peak'. I've already been on summer break a while now and I'm only just half way through so I felt I needed something to keep my brain actually working. There are 4 to 6 miniature games each day and each takes a couple of minutes so it's not very much but it helps me wake up in the morning. It's genuinely become part of my morning routine: Instagram, Twitter, Facebook, Emails, YouTube messages and Peak. Aha! Finally, I have loved using my Gillette Venus and Olay Shaver. I have used Venus razors for almost 3 years now and love them. Yes, they are a little pricey but I love that I know they are good quality and won't cut me and they are super easy to change the blades. My favourite thing about this one is that it has the Olay bar which means that you don't even need to use shaving gel so it's really nice to quickly wet and shave in a morning, especially if you've only missed a little spot. I still tend to use shaving gel most the time too because I have sensitive skin but it's nice to know that I don't need to when at a pinch. On top of that, the main reason I had to update and get a new handle is because my other one has got a lot of mould on it so I instantly loved that this one came with a shower holder which really easily sticks to the tile so it will dry and now collect moisture the entire time. And that is my summer favourites! I had so many this year and I am seriously using/eating/enjoying them all so I hope you do too! If you click on the links throughout, you can buy them for yourselves too. Hope everyone is having a great summer and continue to get some serious R and R.